A fun out of the way place right on the beach! Very friendly staff and a great location with a good restaurant. 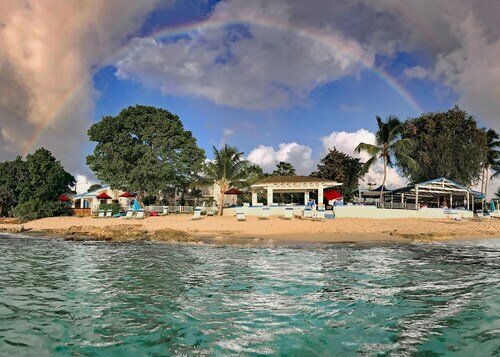 The very friendly personnel at this resort make sure you have everything you need from check in, housekeeping, to fun beach attendants and the bar staff. Loved it! We could not find a problem, nor have a complaint,about our stay. Nice people to do business with.. Physical plant is in a state of decay. Rain storm caused a leak in the room and all across the outside walkway. Nothing in the room worked - hot water, deadbolt, phone, safe, sliding door. Room was not cleaned 2 days out of 5. Food was terrible. 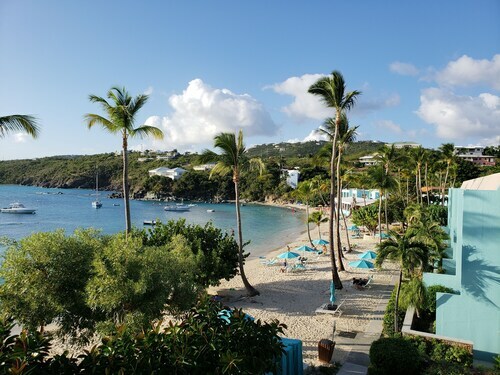 Get the most relaxation with the least amount of planning on your next vacation with all-inclusive packages in U.S. Virgin Islands. You don’t want to spend your days reading the fine print as you compare hotel and flight prices—you want to focus on the fun things. With all-inclusive U.S. Virgin Islands vacations from Orbitz, you can stop sweating the small stuff. When you book an all-inclusive getaway with Orbitz, you get everything plus the kitchen sink. Breakfast buffets, pool days and parking valets could all be in your future. We know that no vacation is complete without frosty beverages topped with tiny umbrellas. And excellent service, day or night, is always part of the deal. You can find all the information you need to pick your perfect U.S. Virgin Islands all-inclusive vacation package right here. Money-saving packages: All-inclusive trips to U.S. Virgin Islands don’t have to break the bank. When you bundle your flight and hotel, you get extra savings, not to mention convenience. Your relaxation starts before you even get on the plane.